There’s an old saying that all bacon is good, and some bacon is better. If you like bacon, you’re going to love ours. We prepare and serve thick-sliced bacon that we smoke right here in our kitchen with pecan wood. We start with hearty, extra lean slabs of bacon. We trim the rind, and slowly cure and pecan-smoke each slab. 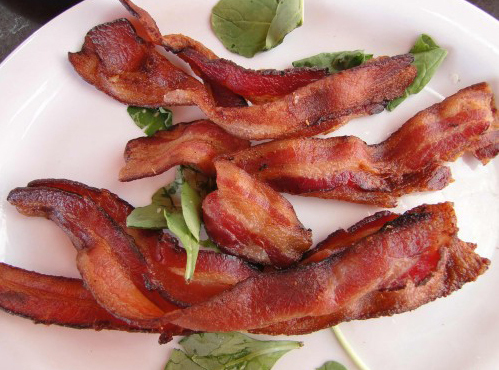 You’ll find CulinAero pecan smoked bacon in our breakfast packages, on our sandwiches and fried crisp and chopped on our salads.